سنکروترون سزامی (خاورمیانه) در راستای توسعه باریکه‌خط‌های جدید خود قصد دارد تا سال 2022 میلادی یک خط باریکه با نام BEATS را به مرحله بهره‌برداری برساند. این باریکه‌خط به تکنیک مقطع‌نگاری (توموگرافی) برای کاربردهای پزشکی، علم مواد، نانو، باستان‌سنجی، زمین‌شناسی، محیط‌زیست و سایر کاربردهای مرتبط اختصاص یافته است. در این راستا در تاریخ 27 و 28 ژوئن سال جاری میلادی (6 و 7 تیر 1398) کارگاهی با موضوع بررسی توجیه علمی (scientific case) این خط باریکه در کشور قبرس برگزار خواهد شد. در این کارگاه سخنران‌هایی از چشمه نور سوییس، سنکروترون اروپا، سزامی و موسسه تحقیقاتی قبرس سخنرانی خواهند کرد. برای شرکت کنندگان در کارگاه نیز امکان ارائه شفاهی و یا ارائه پوستر فراهم شده است. افرادی که در این کارگاه شرکت می‌کنند لازم است تجربه کافی در تهیه توجیه علمی خط باریکه و اطلاعات کافی در مورد تکنیک مقطع‌نگاری داشته باشند. از علاقه‌مندان برای شرکت در این کارگاه در خواست می‌شود شرح حال علمی (رزومه) خود را به همراه متنی که بیانگر ارتباط سوابق علمی شخص با نیازمندی‌های شرکت در کارگاه (حداکثر یک صفحه) است را به آدرس users.ilsf@ipm.ir ارسال نمایند. The Tenth International Workshop on Radiation Safety at Synchrotron Radiation Sources (RadSynch19) is being organized at Kulturen and at MAX IV Laboratory, Lund, Sweden on May 22-24, 2019. This is the tenth conference in this series. The previous conferences were held at APS (2001), ESRF (2002), Spring8 (2004), CLS (2007), Elettra (2009), PAL (2011), NSLS (2013), DESY (2015) and NSRRC (2017). To plan and initiate specific collaborative efforts in radiation physics between these facilities. Attendees are invited to present a talk on the following topics pertaining to accelerators and beam lines of synchrotron radiation sources. The school covers a comprehensive training in synchrotron radiation applications to environmental science, to train Middle East researchers who will benefit from the techniques that will become available at the SESAME. This training school is organized, within the OPEN SESAME project, by Elettra Sincrotrone Trieste SCpA (Elettra) in collaboration with SESAME. The thematic school will be held at SESAME (Allan – Jordan) from June 23 to 27, 2019. The programme includes a number of learning sessions, both theoretical and practical, run by top scientists working in European Synchrotron beamlines and international research infrastructures. 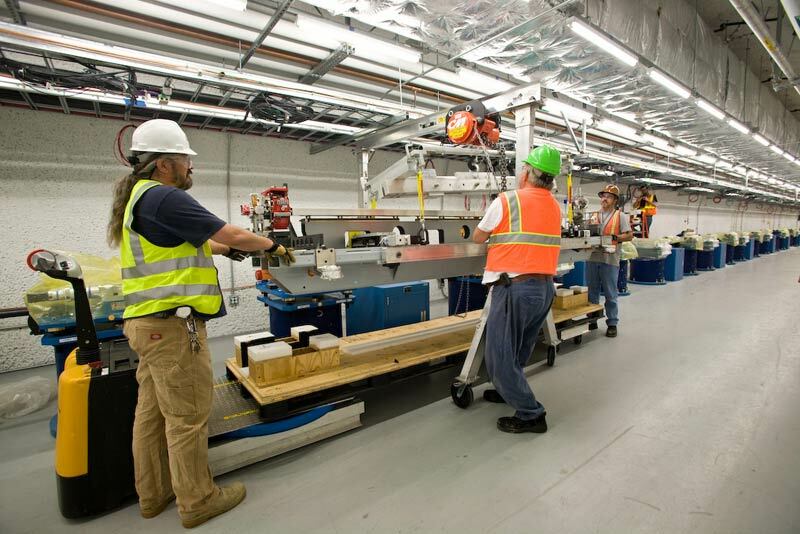 Participants will explore and develop a range of key practices, capabilities and skills associated with the use of synchrotron beamlines, including sampling techniques, sample preparation and data handling. Taught by leading European particle accelerators specialists, JUAS delivers a regularly updated, academically accredited training programme in partnership with CERN and a cluster of 16 European universities. Each course is concluded by examinations which allow students to earn ECTS credits attributed by their home university. Diamond Light Source invites engineers from Light Sources around the world to attend a training school that address many of the technical issues that arise when designing, building and testing systems for Light Source facilities. The school is specifically aimed at engineers new to a career in Light Sources. Over the course of five days, attendees will cover topics such as how to define systems requirements, system design and integration, CE marking, the applications of 3D printing; as well as more specific technical issues such as vibration, heat transfer and thermal stability. Diamond Light Source, the Mary Rose Trust and ISIS Neutron and Muon Source, will organise SR2A-2018, The 8th International Conference on Synchrotron Radiation and Neutrons in Art and Archaeology in Portsmouth, UK. The conference will consist of a 4 day programme of oral presentations and poster sessions, opening with a welcome reception on the 3rd September. During the week delegates will also have the opportunity to take a tour of the UK's National Synchrotron Facility, Diamond Light Source and explore Portsmouths Historic Dockyard, home to the Mary Rose Trust. The SR2A conference focuses on the innovative use of synchrotron and neutron radiation to investigate artistic and archaeological materials and artefacts. The 2018 conference will specifically focus on Technique Advancements for Synchrotron Radiation and Neutrons, Multi-technique Analytical Processes and Complementary Methods, the Impact of Analytical Techniques, Conservation & Monitoring methods, Materials & Processes and Archaeological & Paleontological Advances. The conference is open to all interested professionals, including archaeologists, conservation scientists, conservators, geochemists and material scientists, researchers with experience utilising large-scale research facilities and other analytical techniques, curators, cultural heritage managers, art historians, students and potential users of synchrotrons. X-ray based analytical methods play an increasingly important role in many domains of fundamental research and applied science. The international cast of lecturers will introduce the basic principles of advanced X-ray spectroscopy and scattering techniques. Emphasis will be given on how these techniques allow accessing the complexity of matter by monitoring the atomic arrangement, electronic, magnetic and chemical properties of individual building blocks and their response to external stimuli like temperature, pressure, electric or magnetic fields and light pulses. The program will be complemented by lectures on recent advances in synchrotron and XFEL sources enabling novel experimental methodologies. Demonstration sessions will be organized at Elettra’s synchrotron and XFEL facilities. • Fundamentals of synchrotron and FEL radiation and production. Researchers from the Region will be given the possibility of presenting their research results and/or their plans for SESAME by oral or poster contributions. The International Workshop on Improving Data Quality in XAFS Spectroscopy (Q2XAFS2017) will be held at Diamond Light Source (United Kingdom) on the 14th and 15th of August 2017. This is a Satellite Meeting of the IUCr Congress. The workshop aims to bring together experts in the field of X-ray Absorption Spectroscopy to discuss aspects of the technique that affect data quality in XAFS experiments. Q2XAFS2017 will provide a forum for discussions with the goal of reviewing international standards and protocols, and developing revised recommendations for best practice when performing XAFS experiments. It will also look towards the first agreed data formats and standards for XAFS data and deposition. The workshop will be attended by scientists working at international facilities as well as academics. The 10th international conference on IXS will be hosted by DESY, Germany, following the traditions of the past IXS conferences at: Krakow, Poland (1992); Tokyo, Japan (1995); Montauk, USA (1998); Haikko, Finland (2001); APS, USA (2004); Awaji, Japan (2007); ESRF, France (2010); SLAC, USA (2013); and NSRRC, Taiwan (2015). IXS 2017 will bring together researchers from all over the world working in the field of inelastic x-ray scattering. It will provide a forum for scientists to present new discoveries and research related to resonant and non-resonant inelastic X-ray scattering, and opportunities to exchange information about the latest technical developments and applications. Topics of the 10th IXS include experimental techniques and technical development, applications of IXS in various scientific disciplines, and theory related to IXS and its applications. The scientific program of the 10th IXS will consist of plenary and invited talks, and poster sessions, all scheduled with ample time for discussions. Courses run in parallel so students may take one two-week full course OR two one-week half courses. Except for the undergraduate-level Fundamentals course, each two-week course is eligible for 3 units of graduate-level credit through Northern Illinois University. Students successfully completing one half course each week will earn 3 units of graduate credit from Northern Illinois University. This course will mainly be of interest to staff in accelerator laboratories, university departments and companies manufacturing vacuum equipment. Following introductory lectures on accelerator parameters and vacuum fundamentals, the different processes contributing to vacuum quality will be discussed. The various components and techniques currently available for a modern vacuum system will then be treated in some detail, as will beam-vacuum phenomena. Most afternoons will be devoted to a series of tutorials, where the participants will have the opportunity to work in small groups on a variety of practical techniques. A full day visit incorporating both Max IV and ESS, both in Lund, will provide a current insight into the field. The 20th International Workshop on Magnetic Measurement (IMMW20) will be held at Diamond Light Source (United Kingdom) from the 4th to 9th of June 2017. The aim of IMMW20 is to establish a general framework of information exchange for equipment and techniques to measure and characterise magnetic fields on accelerator magnets and insertion devices. the 8th International Particle Accelerator Conference, IPAC’17, will take place at the Bella Center Copenhagen, Denmark, from May 14 – 19, 2017. IPAC is the main annual event for the worldwide accelerator community and industry, with presentations of the latest results from accelerator R&D and on the progress in existing, planned and future accelerator facilities. IPAC’17 is hosted by the European Spallation Source ERIC (Lund, Sweden) and supported by both MAX IV (Lund, Sweden) and Aarhus University (Denmark). The ESS construction site and MAX IV are within a one-hour ride of the conference venue. Tours to visit both facilities will be offered. Aarhus University offers a tour to the ISA high brilliance synchrotron storage ring, ASTRID2. The meeting provides a unique forum for the synchrotron radiation users, presenting an important opportunity for the experienced or potential beamline users and researchers to share scientific, technical and practical issues about the synchrotron radiation use. EuCARD-2 is an Integrating Activity Project for coordinated Research and Development on Particle Accelerators, co-funded by the European Commission under the FP7 Capacities Programme. “Extreme Rings” (XRING) is a networking task of EuCARD-2 Work Package 5 “Extreme Beams” (XBEAM), targeted at creating synergies between different accelerator communities in order to enhance accelerator R&D at the forefront of global research. The role of the workshop "Beam Dynamics meets Vacuum, Collimations, and Surfaces” IAC will be to focus on topics at the interface between beam dynamics, vacuum, and material science. 3. informative sessions on proposal submission procedures. Researchers from the Region will be given the possibility of presenting their research results and/or their plans for SESAME by oral or poster contributions. A special prize will be given for the best poster and oral presentations presented by young researchers. The XXV Russian Particle Accelerator Conference (RuPAC 2016) will take place in Peterhof, St. Petersburg, Russia from 21 to 25 November, 2016. The goal of the event is to facilitate information interchange and discussion of various aspects of accelerator science and technology, beam physics, new accelerator development, upgrade of existing facilities, and use of accelerators for basic and applied research. In the next few years, all the major synchrotron radiation facilities around the world will be upgrading to 4th generation Diffraction Limited Storage Rings (using multi-bend-achromat technology). Several Free Electron Lasers are ready-to-go or in phase of completion. These events represent a huge challenge for all the Optics physicists, responsible of the calculations needed to design and produce the new optical elements, able to deal with the revolutionary characteristics of the new photon beams. Therefore, the target of the SOS (Softwares for Optical Simulations) workshop is to put together leading experts in optics for synchrotron and FEL radiation with authors and developers of state-of-the-art optical simulation software tools. The workshop aims at demonstrating the usage of software packages, and facilitating the exchange of information and ideas about known issues, possible developments, and future challenges in optical simulations. The workshop concept stems from the international collaboration of optical simulation software developers from ELETTRA, ESRF, ANL and BNL . This began during the SPIE 2014 conference, and was further consolidated with a meeting at BNL in October 2015. The main goals of the collaboration are to share information about recent accomplishments and coordinate next efforts between leading teams in Europe and in USA in the area of software development for simulating SR/FEL Sources and X-Ray Optics. The SOS workshop is not only suited for software developers or expert users, but also for scientists, researchers and students approaching the matter for the very first time. Thus it represents an opportunity to approach the optical simulation tools in a very effective way. The workshop could also be thought as an embryo of a possible future international school of Optics for Synchrotron Radiation. A special session will be dedicated to industrial applications of optical simulations, in order to show usages, challenges and targets in different applied research fields. Diamond is delighted to announce it is to run a fifth synchrotron radiation school from the 19th to the 23rd September 2016. It will run on very similar lines to the very successful SR Schools in 2014, 2012 and 2010 with the aim being to provide postgraduate students and post-doctoral researchers, who have little experience of SR, a broad-based introduction to many of the different types of experiments conducted using SR. It is largely aimed at physical scientists, but life scientists are welcome to apply. The school gives the attendees the opportunity to obtain hands-on practical experience of performing an experiment on several of the Diamond beamlines. At least 14 Diamond beamlines will be particpating in the school. The school will be co-located at Diamond and Jesus College, Oxford, with participants staying in Oxford. The format of the school will be 2 days of lectures on SR methods, 2 days of experiments on the Diamond beamlines and on the final day there will be a symposium with 5 leading synchrotron practitioners talking about some of their research. The SR School is free to attend and all accommodation and meals are provided free for the duration of the course. Students will need to fund their own travel and transport to the course. The ALBA Synchrotron is proud to welcome you to the 9th edition of the Mechanical Engineering Design of Synchrotron Radiation Equipment and Instrumentation (MEDSI) conference. Delegates from synchrotron facilities from all over the world will have the opportunity to showcase and exchange cutting-edge developments in mechanical design and engineering of synchrotron-based instrumentation. This international conference series was started in 2005 in Grenoble with the aim of bringing together researchers using synchrotron techniques applied to the study of objects of cultural heritage. In the ten years since its inception, the conference has become the premier forum to present the latest applications of high-flux radiation sources for non-invasive analysis of our shared patrimony. 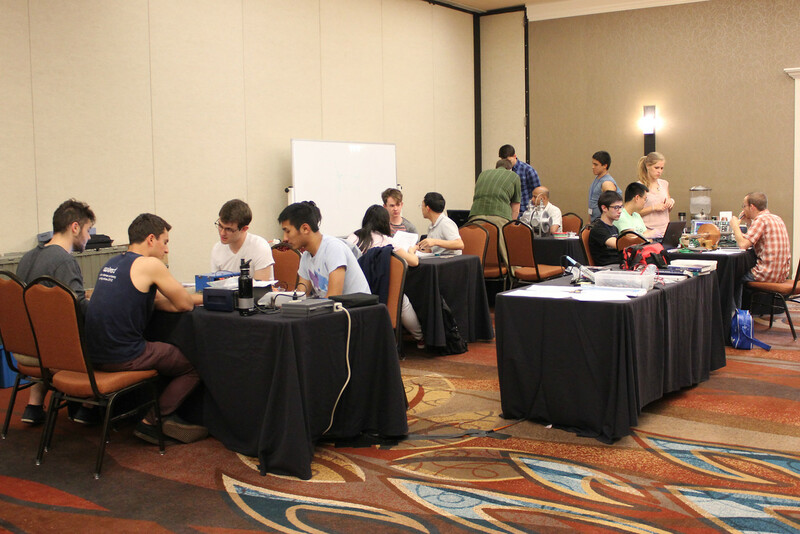 The Chicago SR2A will consist of four days of oral and poster presentations. We welcome paper submissions from archaeological scientists, conservation scientists, geochemists, paleontologists, material scientists, and researchers from all disciplines with experience applying analytical techniques in large-scale research facilities to address questions about our cultural heritage. Powder-diffraction methods have demonstrated an ever increasing range of applications in materials science, chemistry, physics, life sciences and engineering. Modern synchrotron-radiation methods not only provide data of exceptional quality, but have allowed previously inaccessible experiments to be performed. Along with determining the atomic structure and the relative abundance of crystalline phases in bulk samples, information on disordered materials, microstructural features, defects and their evolution in response to external stimuli over a wide range of timescales is now possible. The school, with an updated in-depth programme, aims at giving a broad overview of all the modern possibilities using synchrotron radiation, starting with a general theoretical introduction to the various methods and applications. Hands-on practicals with selected synchrotron XRPD experiments and exhaustive analysis of the collected data are the central part of the school and will provide the student with a solid fundamental understanding of these essential and versatile experimental techniques. SSRL will conduct the 2016 SSRL Summer School on Synchrotron X-Ray Absorption Spectroscopy between July 18 and July 22. The five-day session will provide training in XAS and Imaging theory, experimental design, data acquisition strategies and FEFF based EXAFS data analysis useful to both new and experienced users. Examples will be highlighted in various fields. The two-day practical training session will focus on teaching detailed sample preparation and data acquisition procedures at SSRL beam lines 11-2, 7-3 and 9-3 and 2-3. Data processing and analysis techniques will be covered on subsequent days and will include introductions to EXAFS data fitting on simple systems leading into more involved data analysis methods to tackle difficult problems, such as constraining co-varying structural parameters and thermal factors, strategies on fitting mixtures of species, low signal-to-noise-ratio data and quantitatively linking shells together to test structure models. The parallel session for XAS imaging data acquisition and analysis will cover sample preparation, methods for optimal data collection, hands-on data analysis using the imaging data analysis software, microanalysis toolkit. The final day of the summer school will be targeted towards experienced users and will include lectures on near-edge analysis techniques, combining advanced spectroscopic techniques with EXAFS and guidelines for proper reporting of EXAFS data. A participant driven small-group 1-on-1 session for in-depth analysis of specific problems will be held on the afternoon of the final day. Students and researchers wishing to participate in the Summer School must first apply to attend through the school web portal and should select either Imaging or EXAFS hands-on data analysis session. Once accepted, the participant will be informed to follow the requirements for the registration process. Space is limited and interested participants are requested to submit an application early. The deadline to submit an application is May 10th, 2016 and accepted participants will be notified by May 20th, 2016 to register on the portal. The Summer School will be chaired by SSRL Staff Scientist Ritimukta Sarangi with extensive support from several SSRL personnel. The Summer School will be held at SSRL with additional facilities used at the SLAC National Acceleratory Laboratory site. Funding for the SMB Summer School program is provided by NIH, DOE-BES, and DOE-BER. the International Conference "Synchrotron and Free electron laser Radiation: generation and application" will take place at Budker Institute of Nuclear Physics SB RAS, Novosibirsk, Russia from Monday July 4 to Thursday July 7, 2016. The Conference continues the series of Russian and International conferences on the application of synchrotron radiation held in Novosibirsk since 1975. As before, the primary goal is to deliver the achievements in the field of generation and application of SR and FEL radiation. The Conference will include invited and contributed oral and poster presentations. The Conference languages are Russian and English. A traditional satellite meeting on Lake Baikal will be held after the conference. The Program of the tour includes a travel by train from Novosibirsk to Irkutsk, three-day stay at a hotel at Lake Baikal, scientific session, sally over Baikal Lake, and visit to the Baikal National Park. Polish Synchrotron Radiation Society - PSRS has been organizing this International School and Symposium on Synchrotron Radiation since 1991. The aim of our interdisciplinary meeting is to bring together scientists and students working with synchrotron radiation. ISSRNS is a traditional forum for discussing fundamental issues of application of the synchrotron radiation and related methods in natural sciences. The goal of this interdisciplinary Symposium is to bring together users (scientists and graduate students) of synchrotron radiation. The meeting will focus on novel applications of synchrotron radiation in physics, chemistry, material and life sciences. The 13th International School and Symposium on Synchrotron Radiation in Natural Science (ISSRNS’2016) will be organized in cooperation with Adam Mickiewicz University in Poznan, Poland in hotel “GWAREK” in Ustroń-Jaszowiec, Poland on 13-18 June 2016. The programme of the Symposium will comprise invited lectures (40 minutes), oral communications (20 minutes) and poster presentations. The abstracts of all presentations presented on ISSRNS will be published in a volume of Synchrotron Radiation in Natural Science, and the proceedings in a reputable international journal. The official language of the meeting is English. Atomic Layer Deposition (ALD) relies on sequential exposures of the sample surface to vapor-phase chemical precursors to deposit thin films in a cyclic manner. Each ALD cycle usually results in a sub-monolayer of the desired material. ALD is known for its ultimate thickness control at the atomic level and excellent conformality on complex 3D substrates. These major advantages have been crucial for the introduction of ALD in the microelectronics industry. To continue the industrialization of ALD for a broad range of applications, a fundamental understanding of the underlying chemical and physical processes is needed. Given the low amounts of material that are usually deposited per ALD cycle, fast and surface sensitive techniques are required to study ALD processes. The high brilliance of a Synchrotron Radiation (SR) light source enables to study the atomic structure of matter as well as its properties. SR-based spectroscopic, scattering, and diffraction techniques are usually quiet fast and have a high degree of accuracy, precision and sensitivity. Therefore, they are very well suited to study ALD growth. However, until now, the use of SR to study ALD has remained a niche activity of a few groups, mostly because of technical obstacles, the limited availability of beam-time and/or issues concerning the use of certain precursors at synchrotron facilities. This workshop is organized by the ALBA Synchrotron and the COST action HERALD, and aims to gather scientists who are working in both the fields of ALD and SR-based material characterization. The goal is to share experiences, to discuss how to answer fundamental research questions about ALD with SR-based experiments, to find solutions for technical obstacles and to develop new ideas for SR-based ALD experiments. The Abdus Salam International Centre for Theoretical Physics (ICTP) and Elettra Sincrotrone Trieste are jointly organizing the School above, to take place from 4 to 15 April 2016. The 3rd and 4th generation light-source facilities, where electrons in storage rings or linear accelerators generate intense, tunable, multiply polarized, coherent, and pulsed radiation in the X-ray, VUV and IR region, have been the prerequisites for the development of advanced experimental techniques for multidisciplinary applications, with unprecedented spatial, spectral, and time resolution. The goal of this school, addressed to young researchers with a PhD or at least several years of research activity, is to disseminate knowledge about synchrotron and Free-electron-Laser (FEL) based methods, applications, and on-going innovations that will help the participants to identify the techniques relevant to their research interests. The programme will include introductory lectures on the principles and present status of photon productions and lectures on the various methods based on photon-matter interactions, namely absorption, scattering, diffraction, imaging, spectroscopy, microscopy, and related theoretical approaches for the interpretation of synchrotron and FEL experiments. Emphasis will be given to the latest developments and related new scientific opportunities. A wide range of applications will be presented in various fields, including physical and material sciences, chemistry, biology, nanotechnology, environmental sciences, geology, and medicine. The lectures will be complemented by demonstrations at the synchrotron and FEL facilities at Elettra, Trieste. PARTICIPATION: Students and young scientists from all countries that are members of the UN, UNESCO or IAEA can attend the School. The main purpose of the Centre is to help researchers from developing countries through a programme of training activities within a framework of international co-operation. A limited number of scientists from developed countries are also welcome to attend. In particular this School is intended for strongly motivated graduate students and young post-doctoral scientists. Logistics limit the number of participants to 60-70. Limited funds are available for some applicants from developing countries, to be selected by the organizers. Such financial support is available only to those who attend the entire school. Every effort should be made by candidates to secure support for their fares (or at least half-fare) from their home country before applying to this School. There is no registration fee for attending the School. Jointly hosted by Diamond and the John Adams Institute at the University of Oxford, this workshop will bring together experts from the scientific community working on collective beam instabilities and related subjects for low emittance machines. 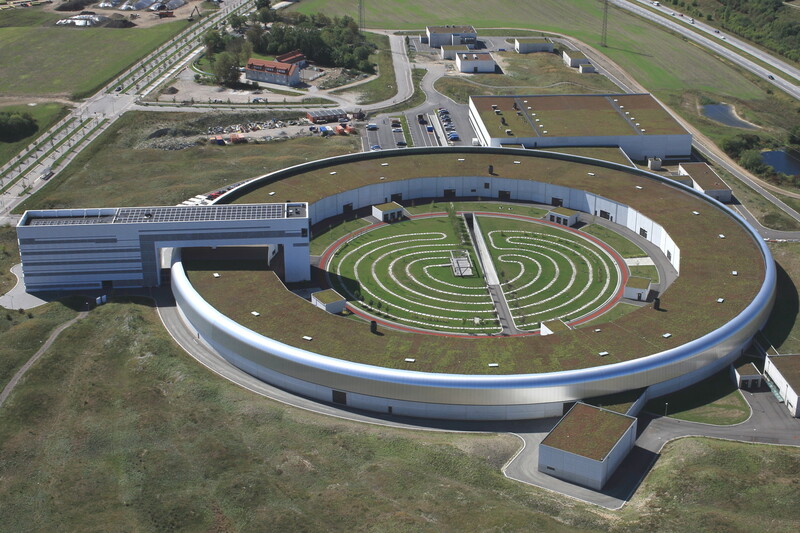 This community includes light source storage rings, damping rings, test facilities for linear colliders, B-factories and future e+/e- circular colliders. The theme will be collective effects and their potential limitations/remedies on the performance of running and future low emittance lepton rings. Participants will benefit from the experience of colleagues who have studied such effects theoretically and experimentally, and have developed and operated countermeasures. The ICBMSR 2015: 17th International Conference on Biology, Medicine and Synchrotron Radiation aims to bring together leading academic scientists, researchers and research scholars to exchange and share their experiences and research results about all aspects of Biology, Medicine and Synchrotron Radiation. It also provides the premier inter-multi-trans-disciplinary forum for researchers, practitioners and educators to present and discuss the most recent innovations, trends, and concerns, practical challenges encountered and the solutions adopted in the field of Biology, Medicine and Synchrotron Radiation. To obtain further information visit the Conference Webpage. The Australian Synchrotron is proud to host the 9th Asia-Oceania Forum for Synchrotron Radiation Research (AOFSRR 2015), in conjunction with User Meeting 2015. The two meetings will be held jointly across three days, on 25-27 November, at the Australian Synchrotron’s award winning National Centre for Synchrotron Science in Melbourne. 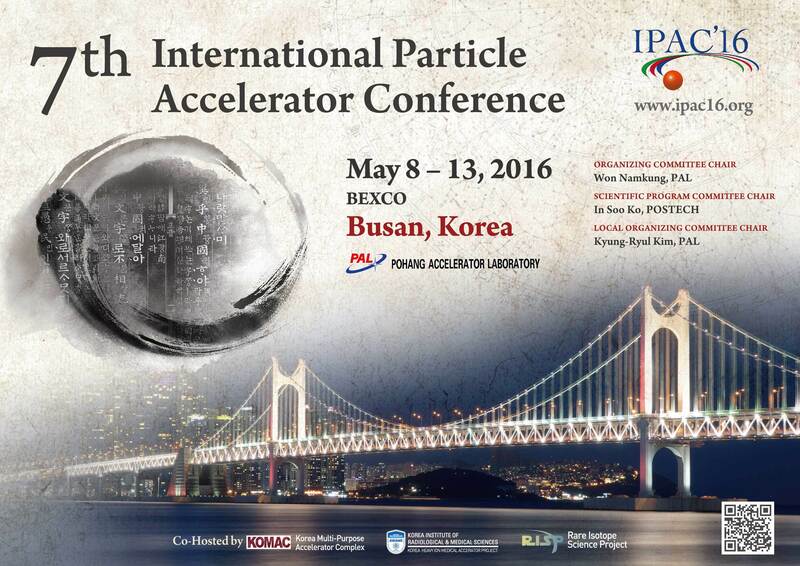 IPAC’16, the Seventh International Particle Accelerator Conference, will be held in Busan, Korea from May 8-13, 2016. IPAC brings together accelerator scientists, engineers, students and industrial vendors from across the globe to share ideas and exchange information on the cutting edge of accelerator science and technology. The conference will be held at the BEXCO Convention Center, a world-class facility with spacious exhibition halls and state-of-the-art equipment and amenities, located in the heart of Busan’s lively Haeundae District. IPAC’16 is hosted by Pohang Accelerator Laboratory (PAL), home of PLS-II and the soon-to-be-completed PAL-XFEL. We trust that Busan’s attractive mix of beaches and hills will provide a conducive environment for a successful and memorable conference.